Major and Minor services. Rebuilds, overhauls, teardowns and retrofits. 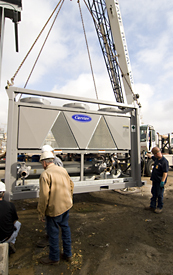 Chiller repair, re-tube, installation and maintenance. Oil sampling with laboratory analysis, vibration analysis and non-desructructive Eddy current tube testing. 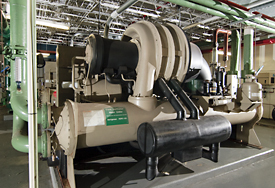 Use of state of the art diagnostic equipment for preventative maintenance and troubleshooting. 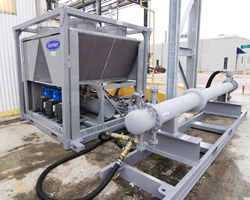 We have years of experience and some of the best centrifugal mechanics in the business. Many of Houston's largest building owners and property managers have depended on us for decades. Twenty-four hours, seven days a week (including holidays). 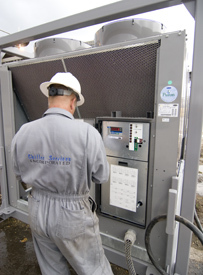 Work performed by expert technicians, with special emergency response as required, normally within two (2) hours. ...and many more through our extensive network of suppliers. 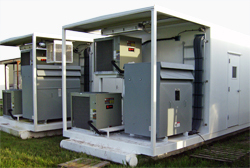 We offer off the shelf solutions from the major manufacturers, custom modifications or complete custom systems through our network of custom build manufacturers or a combination of both. We are not tied to a specific brand, we use what is right for the job. 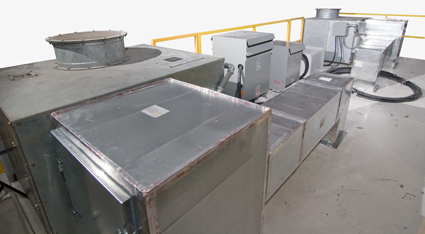 Turnkey retrofit packages ready to install and put to work immediately. 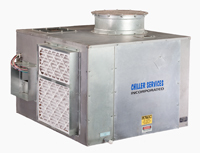 All content, layout and images © 1987-2014, Chiller Services, Inc.